Book Nerds! 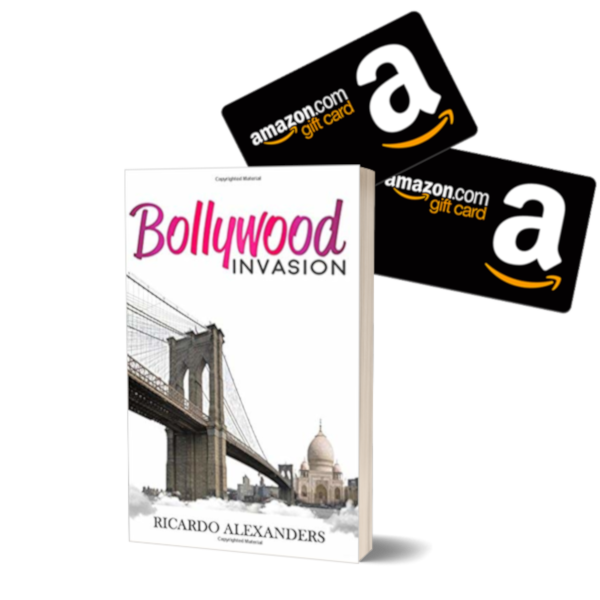 Check out this excerpt & giveaway for BOLLYWOOD INVASION by Ricardo Alexanders! “Help me!” John flailed his arms around like a newborn. I must be dead, he thought, perhaps on my way to Hell. His eyes still closed, he felt the touch of a cold liquid all over his face. “Argh! What is happening? Please stop!” John covered his face with his hands to shield himself from whatever was being sprinkled onto his face. If he was in Hell, which to him seemed like the only reasonable explanation, it could potentially be a fluid meant to burn his face. Yes indeed, it had to be Hell. Why else was the ground beneath him burning? And why was his skin on fire? His hands were snatched away from his face and his right cheek slapped hard. John opened his eyes to the sight of a dark face surrounded by a halo so bright that it made his eyes squint. Behind the figure stood another dark figure wearing what looked like a cloak, bearing a scythe on his back. John shut his eyes, horrified, body shivering. It would seem odd to John if Satan had not resorted to corporal punishment. Nauseous and weak, John kept his eyes shut, waiting for his fate to unfold. “Chaon me le jaate hain Raj Babu ko.” He heard another incomprehensible spell. Previous postBook Nerds! Check out this excerpt & giveaway for THE FIREFIGHTER’S PRETEND FIANCE by Victoria James! Next postBook Nerds! Check out this excerpt & giveaway for VAMPIRES LIKE IT HOT by Lynsay Sands!